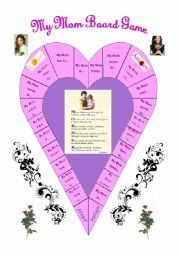 This is a board game to help reinforce the usage of Wh questions: Who,What,When,Where and Why? 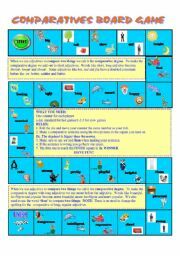 This is a game I just made to help Ss use "If" statements: "If I was older I could do more things." The play follows the colors of the tiles. Arrows help to show direction at the end of each row. I hope you can use it too. 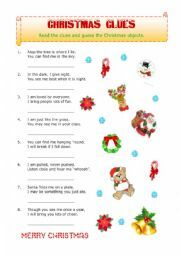 This is a great little activity to help the kids know the famous songs sung at Christmas time. I did this once at my church for our Christmas party and it was a blast! I made the ws but the pictures were not drawn by me. I hope you will find it useful too. I�m sure your kids will love it. Merry Christmas! 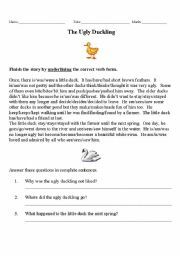 This is a short version of The Ugly Duckling by Hans Christian Anderson and reinforces past simple usage. 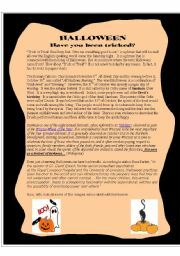 There are three CCQs(Comprehension Check Questions)at the bottom. 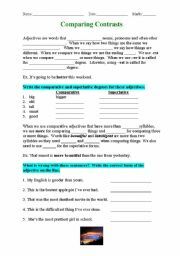 This is a ws I use to teach my Ss about how to make comparatives and superlatives. 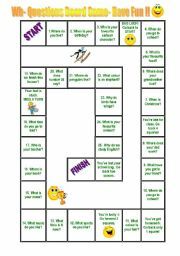 I like to use blanks to keep the Ss involved actively and not passively. 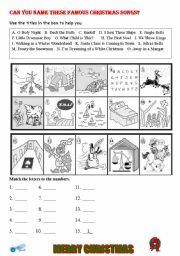 I have also included an answer page. 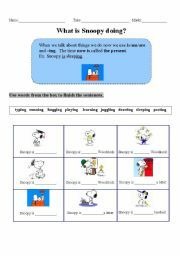 Present Continuous-What is Snoopy Doing? This is a simple ws to teach the little guys about present cont. 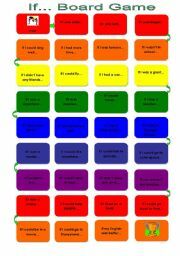 I made it very simple since my kids are not able to write long sentences. I hope you can use it.